The Herpes Simplex Virus-1 which causes cold sores can lie dormant under the skin for years and can be activated by a number of triggers. Today I discuss what factors commonly trigger a cold sore outbreak, so that you can minimise these factors and hopefully prevent the next outbreak. Cold sores are common. Research shows that the majority of the adult population carries the virus. But, not everyone experiences cold sores. So, what triggers a cold sore? Why do some people carrying the virus develop this painful condition, whereas others don’t? The main answers lie with your immune system, your diet and the presence of external factors which may damage the skin around your nose and mouth allowing a cold sore to develop. Cold sores are caused by the Herpes Simplex Virus (HSV-1). For most, the virus is picked up when under 30 years of age. At this point, there are often no obvious symptoms – in fact, it may be some years before you develop your first outbreak of cold sores. It is estimated that approximately 60% of the population carry this virus without knowing, as they experience no symptoms. The HSV-1 virus is incredibly easy to transmit. This is done through various forms of physical contact – for example, sharing of towels, cutlery or razors. After the first infection, some may develop antibodies preventing them from suffering another outbreak; equally other people can experience a cold sore several times a year. In most cases sufferers can, over time, spot the trigger that affects them and learn to avoid it. This could, in turn, reduce the number of outbreaks that occur. Weather – Should you actually manage to burn your lips (very unusual in the UK especially at this time of year), you may become more susceptible to an outbreak of cold sores. Cracked and burnt lips are a haven for the cold sore virus. In order to prevent this from occurring, it is vital that you use a sunscreen and an SPF (Sun Protection Factor) containing lip balm. Unsurprisingly, cold, windy weather can also play a role in creating an inviting place for the cold sore virus to replicate (more likely in the UK!). This is because these weather conditions can lead to dry, chapped lips – which HSV-1 also loves. The pain from the chaps only increases when a cold sore develops. Lip balms provide a barrier to keep your lips moist and thus prevent any further damage. 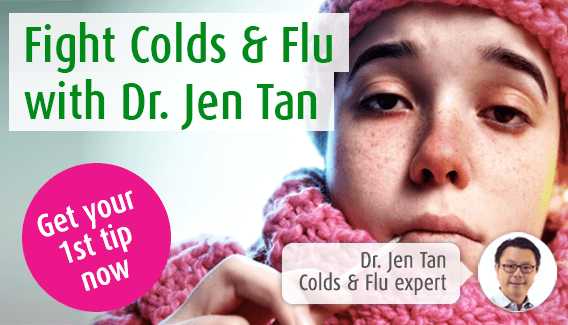 Weakened immune system – Outbreaks of cold sores are more likely to develop when you are suffering from a cold or flu (explaining the origins of the term ‘cold sore’). This is when your immune system in low. Maintaining a healthy, balanced diet full of fruit and vegetables, and rich in zinc, iron and Vitamins A, C and E, may help you avoid an outbreak occurring. Stress and Sleep – Periods of exhaustion, stress, or poor sleep depress your immune function and your ability to fight infection. Whilst it can be difficult in this modern age to relax and unwind, it is really important that you take time out for yourself. This helps to recharge your immune system and will certainly assist in fighting any unwanted viruses. Foods – An amino acid found in many foods, known as Arginine, has been shown to help fuel HSV-1. For this reason, it is advisable to avoid foods that are rich in this substance, to prevent or reduce the impact of a cold sore outbreak. Foods that contain Arginine include chocolate, nuts such as almonds and peanuts, sesame and sunflower seeds, and dark leafy greens like spinach. Once a cold sore has ‘broken out’ and weeps, it will be very painful and certain foods could aggravate the open wound. At this point it will be wise to avoid acidic foods and drink – oranges, tomatoes and grapefruit are perfect examples, as are fruit juice, fizzy drinks and even wine (sorry about that!). Salty snacks may also cause you pain. Lysine is an amino acid which has antiviral properties against HSV-1. It also stops the production of Arginine. Lysine can be found naturally in foods like fish, dairy and legumes. By adopting a change in your diet to include lysine-rich foods, you may be able to avoid outbreaks in the future. Beverages – Some drinks can also, unfortunately, trigger cold sore outbreaks. These include cola and caffeinated drinks as well as beer (due to the high content of Arginine in the grains). As such, apologies again, these should be avoided especially during an outbreak. Can kissing trigger cold sores? We are sometimes asked if kissing can spread the cold sore virus. As the Christmas party season approaches, and with more mistletoe around, now is a good time to set the record straight. Kissing does indeed spread the cold sore virus – whether or not the person you kiss has an active cold sore. However, as you have seen earlier in this article, picking up the virus does not mean that you will have a cold sore the next day – it may take months or years for HSV-1 to cause you problems, if at all. So technically, whilst you can pick up the cold sore virus when kissing someone who carries it, this pastime will not trigger a bout of cold sores. Are there any cold sore remedies? Our bodies tend to suffer more at this time of the year. The stress of the festive season and the year’s activities can take their toll on the immune system. It is therefore reassuring to know that A.Vogel’s Bio-Propolis can help to soothe a cold sore, even after it has developed, and it also creates a barrier to allow healing to take place continuously. Cold sores are unpleasant and often painful. I hope that, by following these tips and recognising your personal trigger, you can in some way avoid outbreaks in the future.